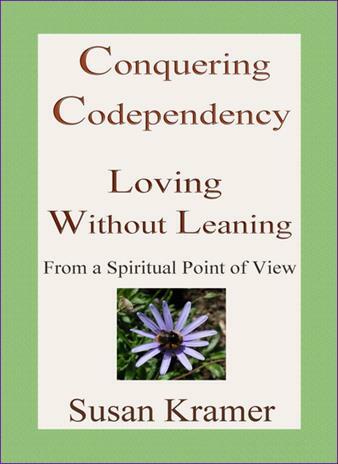 Written from a spiritual point of view, 76 lessons and topics on overcoming codependency, that can be followed chronologically or at random. Each lesson includes a prayer or meditation or both for reflection and inspiration. Topics include how to live in harmony, teen issues, becoming whole, substance abuse issues, stress relief, all presented in a practical way aimed at recovery. 170 pages. 22,618 words. A reader writes "Oh, how I wish this book could be a staple in every library in every elementary school in the nation. It is such a valuable tool. You are a Godsend to those of us in need." About the author: Susan Kramer is an international author writing on social issues, practical spirituality, meditation, and dance since the 1970s. Content copyright Susan Kramer 2002-2019. All rights reserved.